Sally is a leader with an amazing ability to make things happen. As the Geospatial Services Manager for 1000 Friends of Minnesota, she is bringing new Google Maps technology to local governments on the urban fringe helping citizens and elected officials visualize how their communities can grow as they face development pressure. 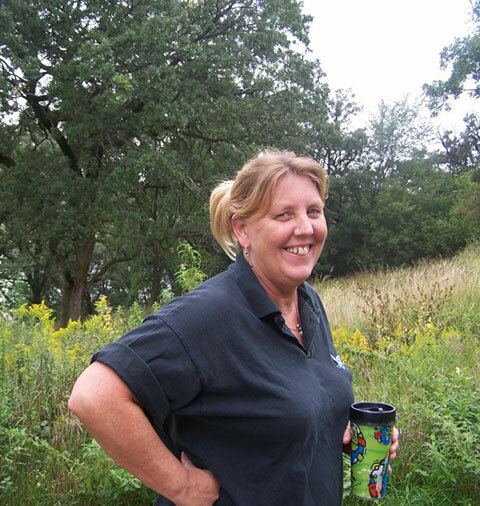 As a member of the GIS/LIS Board, she reached out to K-12 Educators and supported their GIS activities by co-founding the MN GeoTech Conference and serving as its co-chair in 2004-05. While on staff at LMIC, she provided outstanding staff support and encouragement to the Governor’s Council on Geographic Information, including significant outreach to local government. She also coordinated many GIS Day events – including the largest technology display ever at the State Capitol. She chaired the state GIS/LIS conference in 2005 and again in 2006 when the chair had to step down. Sally is the current chair-elect of the GIS/LIS Board. 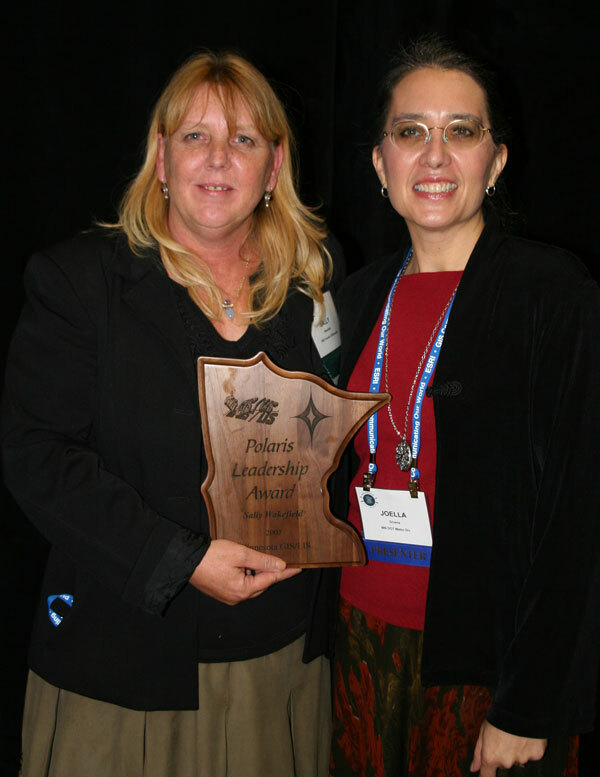 2007 Polaris Award recipient Sally Wakefield with nominator Joella Givens.